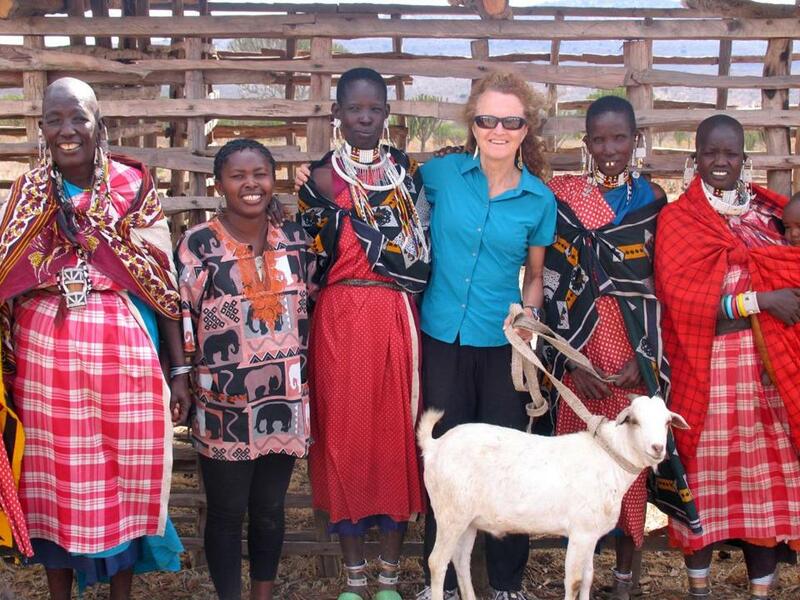 Thomson safaris owner, Judi Wineland, was honored with a goat for helping Maasai women in Tanzania. Being able to deal with risk is integral to running a safari tour company, especially one in a developing country like Tanzania. But after three decades of handling thousands of trips, Judi Wineland, cofounder and co-owner of Thomson Safaris, said the Watertown outfitter has learned to be prepared for anything. Globe correspondent Cindy Atoji Keene spoke with Wineland about excursions to the Serengeti plains and beyond. “Why are safaris always number one or two on a bucket list? Seeing phenomenal animals in their natural environment is something you won’t see anywhere else in the world. “I travel to Tanzania at least once or twice a year. From a business perspective, to maintain quality, we realized we couldn’t depend on middlemen and [we] control all our own land, lodges, and vehicles. Our senior staff there has worked for us between 15 and 30 years and are like family. We care about empowering our guides, mechanics, and others; for example, Maasai women sell their intricate beadwork so they can better care for their families.